Walking through the undulating dunes, I saw a big furry creature swaddled in the couch grass. The shaggy beast looked a lot like a bear, but we were in the wrong domain for such a creature. I was out leading a tour group in my capacity as a wildlife guide. The location was South Island, New Zealand and the animal that lay before us was the New Zealand Sea Lion, which is genetically related to bears. A thick pelt of fur envelopes their body and the male acquires an impressive mane around his neck as he matures. Like his terrestrial cousin, the New Zealand Sea Lion is a top predator: His quarry tends to be fish, squid, octopus, crabs and the occasional penguin. On Sea lions, the razor-sharp claws of a bear have been sheathed inside a membranous flipper. This flipper propels them through their watery lair, as well as allowing them to capture prey. 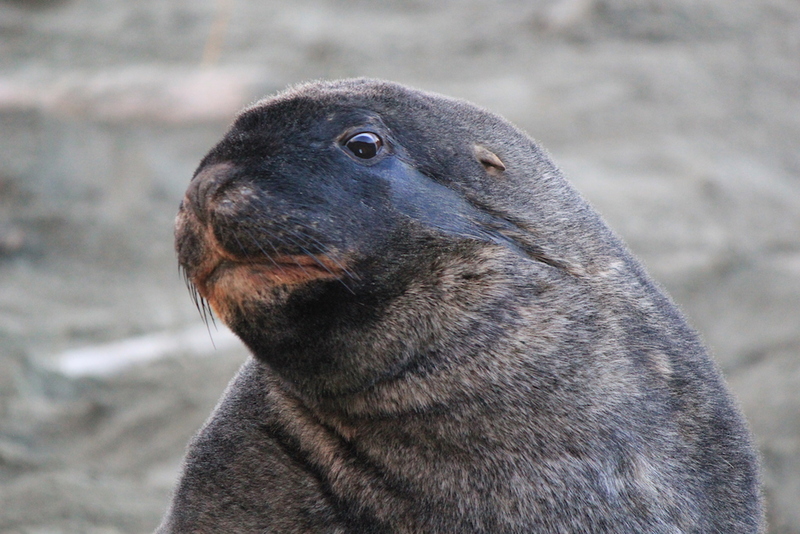 The Sea Lion also has a thick layer of blubber, which insulates it from the frigid water as it descends to deeper realms.Much of the population lives on the subantarctic Campbell and Auckland Islands, with a tiny population living on the mainland. The species’ conservation status is listed as ‘’nationally critical’’– the highest threat status given in New Zealand. In short, the New Zealand Sea Lion is one of the most threatened Sea Lions in the world, and quite possibly the rarest. No humans lived in New Zealand until about 1,000 years ago, when Maori tribes arrived from Polynesia and settled around the country, subsisting on various plants and animals. Over time all of the Sea Lions were decimated for food and fur– first by the Maori and later by European settlers. By the 1800s, the Sea Lion was extinct in New Zealand. In 1993, a lone female New Zealand Sea Lion was found by a farmer at Taieri Mouth, on the lower South Island. 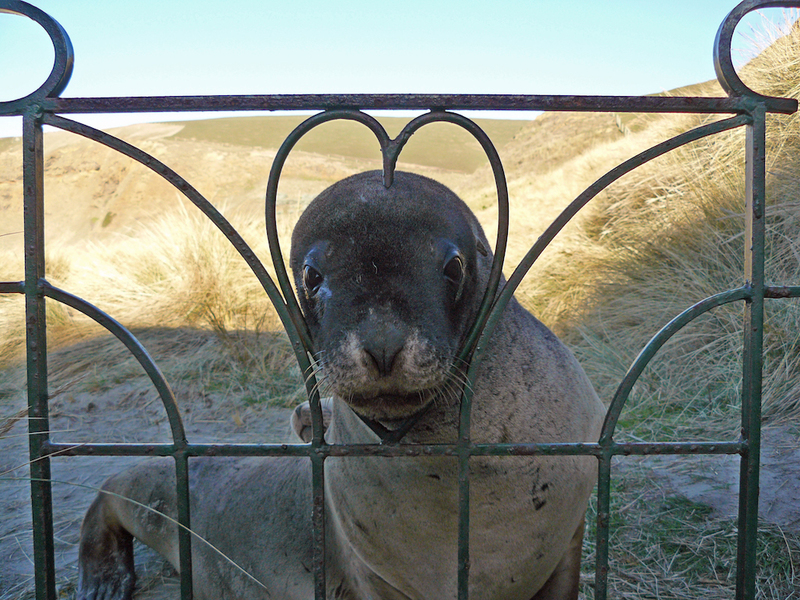 The farmer contacted the Department of Conservation, confused about the “blonde seal” he found on his property. 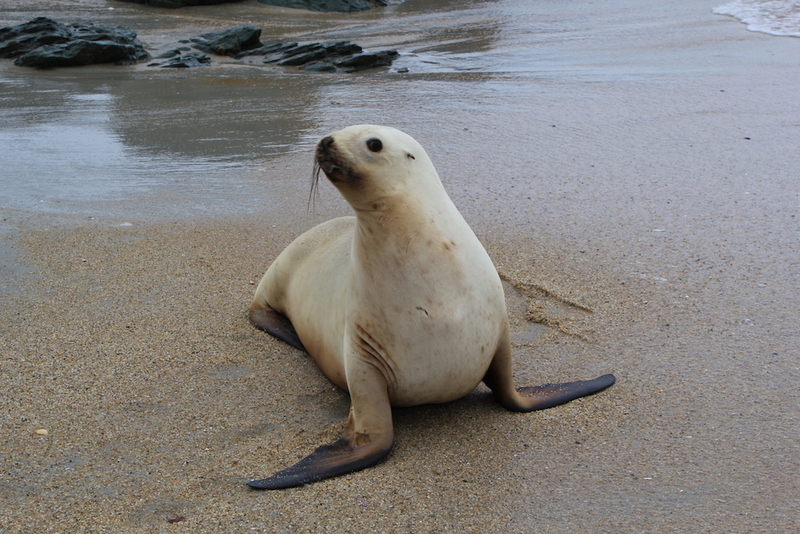 This female (subsequently called “Mum”) had been tagged by researchers as a pup on the Auckland Islands in 1986. For reasons unknown, she’d traveled 435 miles to settle on New Zealand’s Otago peninsula. She also happened to be pregnant. Females are not known to venture far from where they were born, so Mum’s epic journey was all the more remarkable. Mum’s solo journey became a beacon of hope for this flagging species. Males from the subantarctic islands had begun populating the Otago peninsula in the early 1980s. With the arrival of Mum and the birth of her daughter, this was the beginning of a small breeding population. Over the next 17 years Mum produced 11 pups, many of which were female. 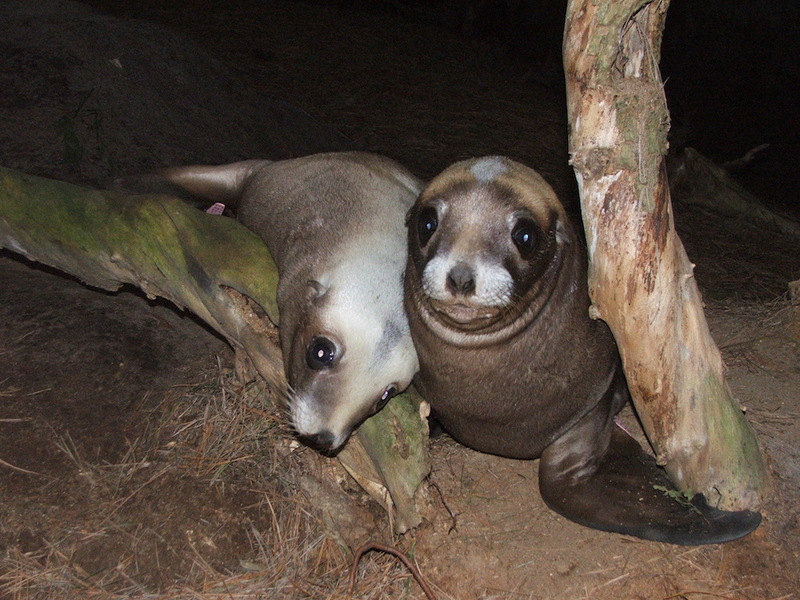 Each pup born on the South Island is very precious, particularly to the New Zealand Sea Lion Trust and the Department of Conservation. These organizations keep a close watch on the New Zealand Sea Lion population, both on the mainland and the islands. 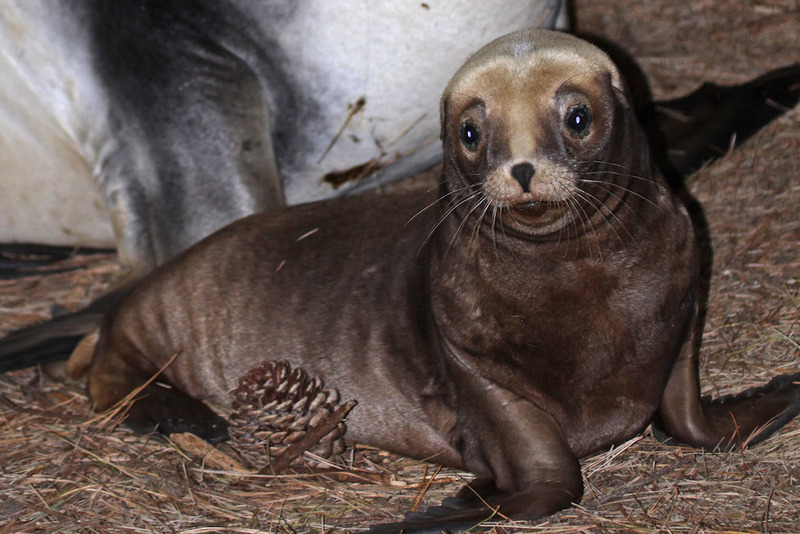 Every Sea Lion pup that has been born on the mainland since 1993 has been tagged and named. Mum’s first pup, named Katya, went on to have 10 pups of her own. When new pups are born, every effort is made to keep them safe from potential threats, including dogs. The South Island population has since grown to approximately 160 Sea Lions, but only a tenth or so are female. This skew in the sexes creates an interesting, sometimes lethal social dynamic. When male/female ratios are more natural, a harem system exists: The strongest mature males (or “bulls”) fight for the right to breed with a number of females. This dominant male, known as the beach master, can preside over up to 25 females. 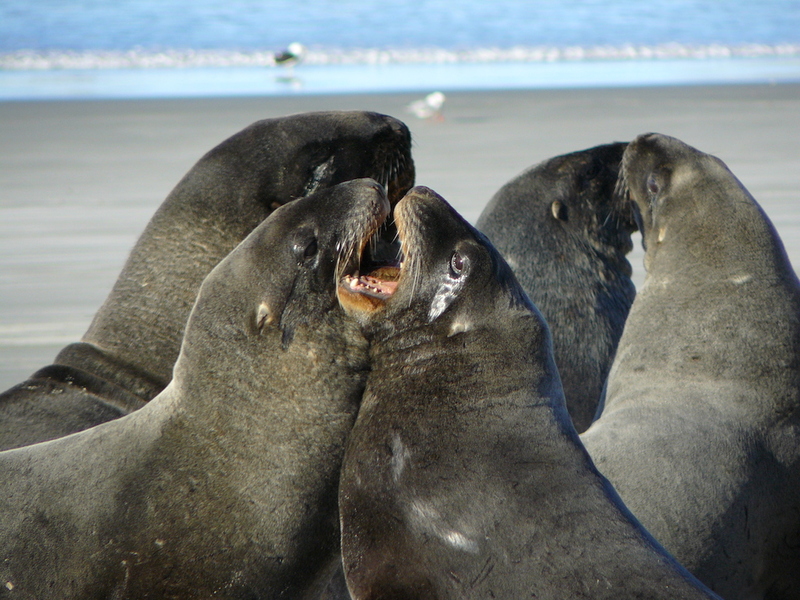 This type of harem is often seen around the Auckland and Campbell Islands, where New Zealand Sea Lions are found in greater numbers. 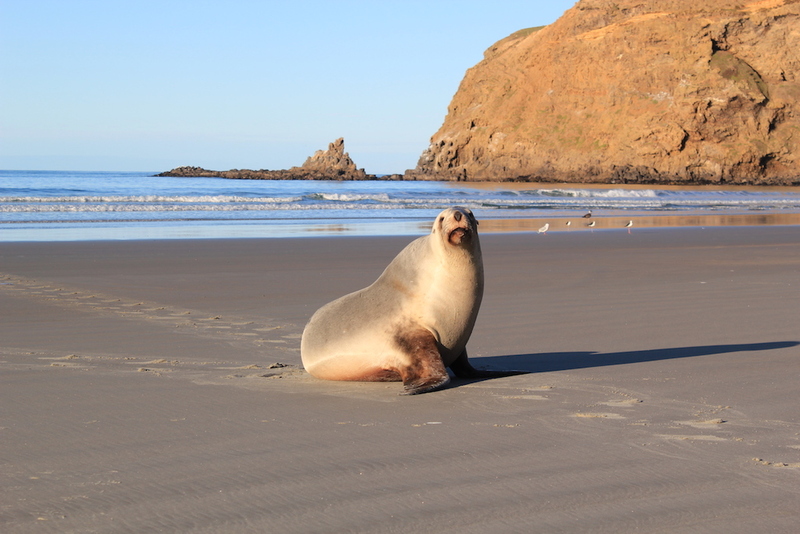 On the South coast beaches of the Otago peninsula and the Catlins, the low numbers of female sea lions has resulted in some confusion. Sexually charged males look– sometimes in vain– for females to corral into a harem of their own. Juvenile males look similar to females, being both lighter in color and smaller than the beach masters. Mature males can weigh from 250-400 kgs, while mature females weigh between 100-160 kgs. As the male develops, his fur turns from a light brown/tan color to dark brown and the thick mane around his neck becomes more impressive. Females are very pale by comparison (almost the color of sand), and blend in exceedingly well with their surroundings. An amorous male in these areas, having seen a juvenile male approaching his patch, will sometimes approach the young interloper. Their initial exchanges can range from bluff and bluster, to playful interactions, to the older male actually seducing the younger. It’s not unusual along the Otago coast to see a large male surrounded by his “women,” which are actually juvenile or sub-adult males! When a bona fide female is in the area, it can create quite a stir and become a challenging encounter for her. Males sometimes run at her en masse, blocking her path back to the water to escape. She can be particularly vulnerable if she has a young pup with her. In all the excitement, some females have inadvertently been killed from too many males wanting to mate with them. Despite these issues, it’s a positive sign to see New Zealand Sea Lion numbers slowly but surely increasing. Since Mum arrived on the mainland, an unrelated female named Marea settled in the Catlins in 2006 and proceeded to breed there. Their offspring have now established small breeding populations on South Island as well as Stewart Island, a small inhabited island located to the south. In the subantarctic islands the numbers of New Zealand Sea Lions has been steadily dropping. The breeding population decreased by 50% between 2000 and 2015, and there are now only around 9,000 remaining. The reasons for the decline are numerous. There’s a large squid fishing industry off Auckland and Campbell Islands, where Sea Lion deaths have been caused by accidental bycatch in fishing nets and trawls. When a female dies, she most likely orphans a pup onshore, who will die without her. She’s also likely to be pregnant with another pup. Two other serious problems are disease and starvation. In 1998 an outbreak of an unknown disease caused the deaths of over 50% of the pups and 20% of the females in the Auckland Islands. 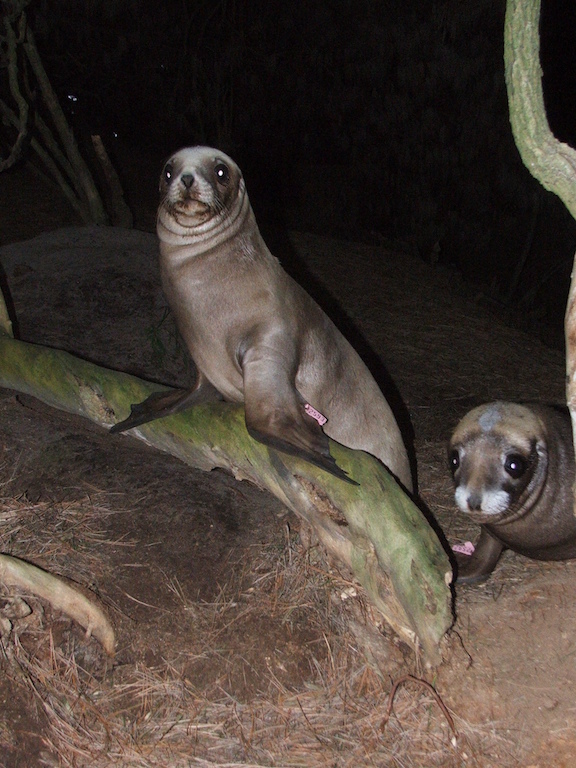 In 2002 and 2003 the Sea Lions suffered heavy mortalities due to the bacterial infection Klebsiella pneumoniae. This caused the deaths of 32% of the pups within the first few months of life in 2002 and 21% in 2003. Reduced prey availability is another major cause of adult and pup mortality. A significant death toll was exerted on the Campbell Island population this year, with 58% of the pups dying within the first month. Studies indicated that starvation was responsible for the deaths of 62% of the dead pups that were necropsied. Unfortunately local fisheries target some of the same species that Sea Lions predominantly feed upon. This competition for resources is an issue, particularly with females whose feeding ranges are restricted while their pups are young. 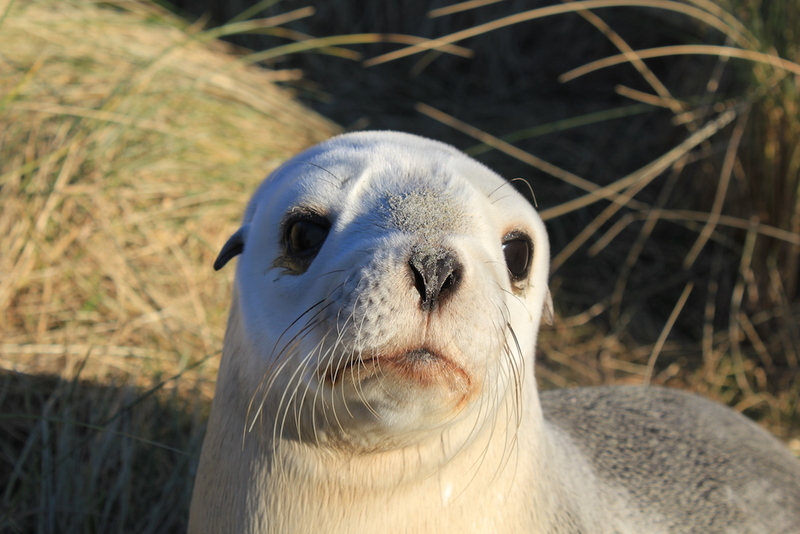 At the current rate of Sea Lion decrease around the Auckland and Campbell Islands, there is genuine concern for the future of this beleaguered population. Suzanne Burns 2015. Photo credits: Shaun Templeton.